Despite modest dips in rental prices in individual cities, Apartment List reports that rents are up 2.7 percent year over year nationally. The year over-year growth falls between the 2.1 percent rate this time last year, and the 3.4 percent growth rate dating from October 2015. 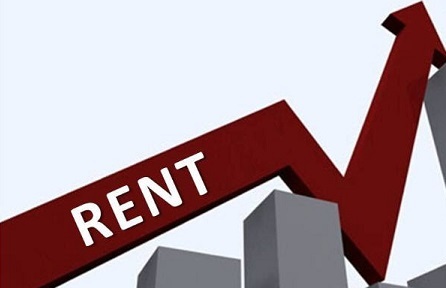 At present, rents are increasing across the country at a rate slightly higher than inflation. However, average hourly earnings have grown 2.9 percent over the past 12 months. This reverses a trend of recent years, where wages were stagnant and rental prices fluctuated upward. Zumper reported some notable changes in various cities. Decreases in the overall median price for a one bedroom apartment were seen in Honolulu, Dallas, Pittsburgh, and Baltimore. Cities with price increases this month included Denver, New Orleans, Houston, Orlando, and Syracuse. What does this mean for landlords and tenants? It means that pricing a rental competitively and fairly is of utmost importance. You can review the median price for your city, but you will want to have more accurate information for your specific location and neighborhood. For tenants, it means knowing the market so that you can know what to expect in your search for a rental home. You can find the average rent rate for your area by using our calculator here. It’s important to keep checking, because rents rise and fall each month. Find out where you stand. If you are a tenant, it’s important to have a realistic expectation of what income you need to live in the area where you are searching for a home. By pricing rents locally and applying income formulas found here, you can avoid the problem of overextending yourself, and possible eviction. Landlords can also make sure that their rental is priced competitively, thus avoiding having the property sit vacant or not be listed at full value.